Cardston Municipal Enforcement Services is currently made up of one full time permanent Community Peace Officer Level 1 and one appointed full time contractual Bylaw Enforcement Officer. 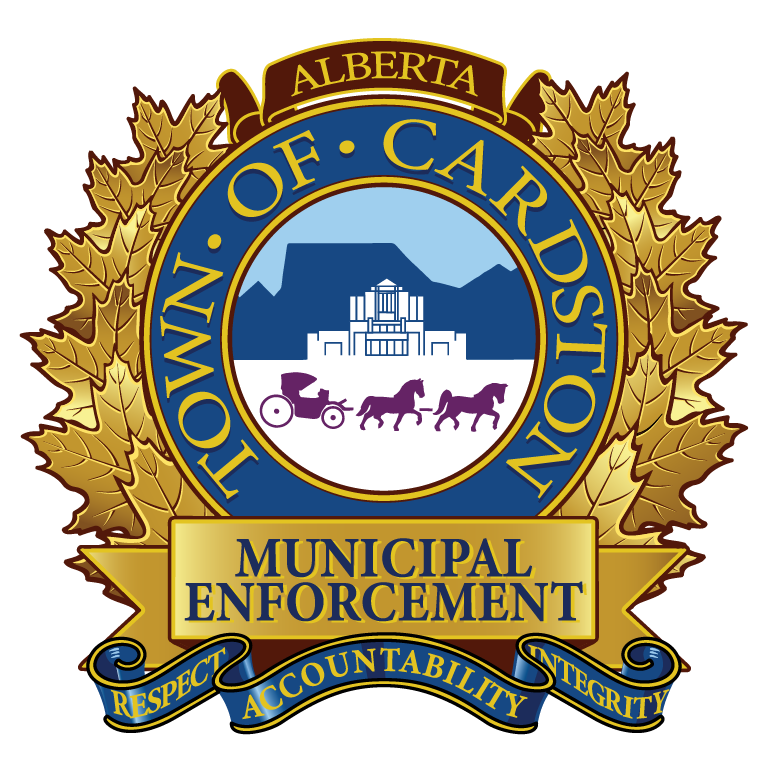 Municipal Enforcement will strive to provide the Town of Cardston citizens with accountable, professional, and integral enforcement services. The department will provide both Provincial and Municipal level services. All of the Town of Cardston bylaws will be enforced along with the following list of provincial legislation. The above Provincial legislation will be enforced by the departments Community Peace Officer Level 1. The CPO is appointed by the Province of Alberta pursuant to the Peace Officer Act. For more information on the authorities carried by the CPO, please visit the Alberta Justice and Solicitor General webpage. 1. Phone: To speak with an officer on the phone, please call (403) 653-5045. 2. Online Reporting: Click the button at the top right of this page. All information collected about your identity will be kept strictly confidential. Your name or any details that could reveal your identity will not be shared with any individual until such a time if and when a charge is laid and the case is taken to court. NOTE: Complainants will be contacted and required to provide their birth date to a Municipal Enforcement Officer before a file is opened and an investigation is conducted. Read the Municipal Enforcement FAQ for more details. If multiple, please indicate in details below. Can you Identify the individual (if any) who is the subject of your complaint? If there is a subject involved in this complaint that you can identify, please provide details. Provide in-depth details of your complaint. If you have pictures or recordings in relation to your complaint, please indicate it, and a Peace Officer may contact you with details on how to submit your materials. Thank you! A Bylaw Officer will contact you for more information if necessary, and when your complaint is resolved. Your identity will remain confidential.